So you want me to tell you all about Vampires? Vampire yourself! So musing, I rang you up for details. Vampires, you say, might be a temptation to yourself, or they might sap your energy. Very good. I will tell you the little I know. Listen to Eliphas Lévi! He warns us against a type of person, fearless and cold-blooded, who seems to have the power to cast a sudden chill, merely by entering the room, upon the gayest party ever assembled. Tête-à-tête, they shake one's resolution, kill one's enthusiasm, devitalize one's faith and courage. Yes, we all know such people. Mercury, by the way, is the planet responsible. I have examined a considerable number of nativities, both of murderers and of people murdered; in both cases it was not a “malefic” that did the dirty work, but poor tiny innocent silvery-shining Mercury! “Fie for same, you naughty planet! is it not John Henry Newman that sang of Lucifer? I doubt it. You, however, are thinking more of the vampire of romance. Bram Stoker's Dracula and its kindred. This is a splendidly well-documented book, by the way; he got his “facts” and their legal and magical surroundings, perfectly correct. It is easy enough to laugh at vampires if you live in Upper Tooting, or Surbiton, or one of those places where no self-respecting Vampire would wish to be seen. But in a lonely mountain village in Bulgaria you might feel differently about it! You should remember, incidentally, that the evidence for vampires is as strong as for pretty well anything else in the world. There are innumerable records extant of legal proceedings wherein the most sober, responsible, worthy and well-respected citizens, including the advocates and judges, investigated case after case with the utmost minuteness, with the most distinguished surgeons and anatomists to swear to the clinical details. Endless is the list of well-attested cases of bodies dug up after months of burial which have been found not merely flourishing with all the lines of life, but gorged with fresh blood. I cannot help feeling that all the superior-person explanations—which explain nothing—about collective hysteria and superstition and wish fulfillment and the rest of the current tomfool jargon, are just about as hard to believe as the original straight forward stories. The man who shook his head on being shown a giraffe, and said “I don't believe it,” is quite on a par with he pontifical wiseacres of Wimpole Street. It is egomaniac vanity that prompts disbelief in phenomena merely because they lie outside the infinitesimally minute pilule of one's own personal experience. When I crossed the Burma-China frontier for the first time, who should I meet but our Consul at Tengyueh, the admirable Litton, who had by sheer brains and personality turned the whole province of Yunnan into his own Vice-royalty? We lunched together on the grass, and I hastened to dig into the goldmine of his knowledge of the country. About the third or fourth thing he said to me was this: “Remember! whatever anyone tells you about China is true.” No words have ever impressed me more deeply; they sank right in and were illuminated by daily experience until they had justified themselves a thousand times over. Oh yeah! (you vulgarly interpolate) and how does it go with the Master's unfathomably sage discourse on Doubt. Sister, you're loopy! Sister, if I may doubt all the people who have been to Africa or the Zoo and seen that giraffe, why must I cling with simple childlike trust to the people that say they've been all over Hell and parts of Kansas, and haven't seen one, and therefore such things cannot possibly be? Of the two dogmatic assertions, I should unquestionably prefer the positive statement to the negative. In 1916, I was the first trained scientific observer to record the appearance commonly called “St Elmo's fire” indiscreetly revealing this fact in a letter to the New York Times. I was pestered for the next six months and more by professors of physics (and the rest) from all over the U.S.A. The Existence of the phenomenon had been doubted until then because of certain theoretical difficulties. That, sister, is the point. If a statement is hard to reconcile with the whole body of evidence on the laws of the subject, it is rightly received with suspicion. A moment with great Huxley, and his illustration of the centaur in Piccadilly, reported to him (he humorously hypothesizes) by Professor Owen. What occasions Huxley's doubt, and inspires the questions by means of which he seeks to confirm or to discredit it? Just this, no more: here is the head and torso of a man fitted to the shoulders of a horse; how are the mechanical adjustments effected? Am I digressing again? No, not really; I am just putting forward a case for keeping an open mind on the subject of Vampires, even of the Clan Dracula. But certainly there is little or no evidence of the existence of that species in England. How then is the subject in any way important to you? Thus, that there are actually people running about all over the place, who actually possess, and exercise, faculties similar to those mentioned by Lévi, but in much greater intensity, even of a kind far more formidable, and directed by malignant will. There is a mighty volume of theory and practice concerning this and cognate subjects which will be open to you when—and if—you attain the VIII° of O.T.O. and become Pontiff and Epopt of the Illuminati. Further, when you enter the Sanctuary of the Gnosis—oh boy! Or, more accurately, oh girl! Not that the O.T.O. is a Young Ladies' and Gentlemen's Seminary for Tuition in Vampirism,1 with a Chair (hardly suitable) for Werwolves, and Beds of Justice—that sounds more apt—for Incubi and Succubi;2 far from it! But the forces of Nature employed in these presumably abominable practices are similar or identical. The doctrine of “Vital Force” has been so long and so completely exploded that I hardly need to tell you that in some still undiscovered (or, rather, unpublished) and unmeasured form it is certainly a fact. Haven't I told you one time how we nearly starved on Iztaccihuatl with dozens of tinned foods all round us, they being ancient; of how one can get drunk on half a dozen oysters; of how the best meat I have ever eaten is half-raw Himalyan sheep, cut up and thrown on the glowing ashes before rigor mortis had set in?3 There is a difference between living and dead protoplasm, whether the chemist and his fellow twilight-gropers admit it or no. I do not blame the ignorance of these fumblers with frost-bitten fingers; b ut they make themselves conspicuously assinine when they flaunt that ignorance as the Quintessence of Knowledge; Boeotian bombast! There are forms of Energy, their Order too subtle to have been properly measured hitherto, which underlie and can, within certain limits, direct the gross chemical and physical changes of the body. To deny this is to be flung headlong into the arms of Animal Automatism. Huxley's arguments for this theory are precisely like those of Bishop Berkeley: unanswerable, but unconvincing. This letter is not, to every comma, the ineluctable, apodeictic, automatic, reaction to the stimulus of your question; and no one can persuade me that it is. Of course that unpersuadability is equally a factor in the equation; it is quite useless to try to “answer back.” Only, it's silly! So then, we may—at least!—get busy. It is easy enough to bore one's neighbour—look how I bore you! But that is usually an unintentional business. Is it possible to intensify the devitalizing process, so as to weaken the victim physically, perhaps even almost to the point of death? Yes. How? The traditional method is to get possession of some object or substance intimately connected with the victim. On this you work magically so as to absorb its virtue. It is best if it was as recently as possible part of his living tissue; for instance, a nail-paring, a hair plucked from his head. Something still alive or nearly so, and still part of the complex of energies that he included in his conception of his body. Best of all are fluids and secretions, notably blood and one other of supreme importance to the continuity of life. When you can get these still alive to their function, it is best of all. That is why it is not so highly recommended to tear out and devour the heart and liver of your next-door neighbour; you have gone far to destroy just that which is of most importance to you to keep alive. You say this strongly, my dear Sister in the Lord; your thesis is impeccably stated, your arguments are cogent, plangent, not to be repeated. But—this I pout to you most solemnly—what experimental evidence do you adduce? How many hearts, how many livers, have been your spiritual sustenance? Have you excluded every source of error? Have you—here, you know the routine; write it all down and send it along to be vetted! After that—you will agree that I have written enough. 1: See De Arte Magica; the chapter on Vampirism is titled “Of a certain other method of Magick not included in the instruction of O.T.O.” – T.S. 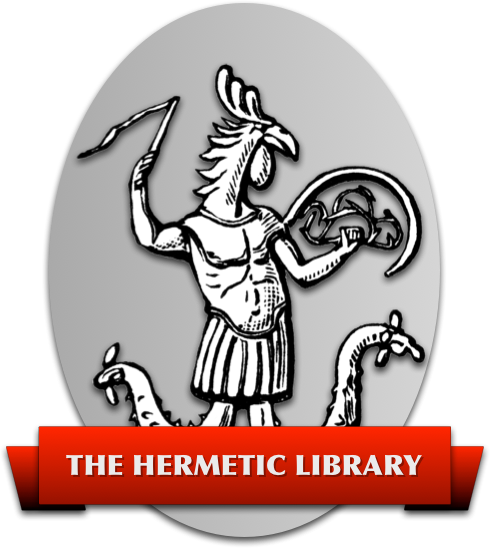 2: See Liber XXIV, chapter on Incubi and Succubi – T.S. 3: See Crowley's essay “On Food,” printed in the Teitan Press edition of Amrita – T.S. 4: The quote is from Atalanta in Calydon, chorus “Who hath given man speech?” – T.S. 5: … and note that the “male child” (p.95) equals the Serpent.